With the stripes on this stamp I thought it was perfect for making little flag pinwheels, so I painted tiny x's for the "stars" on the center part. 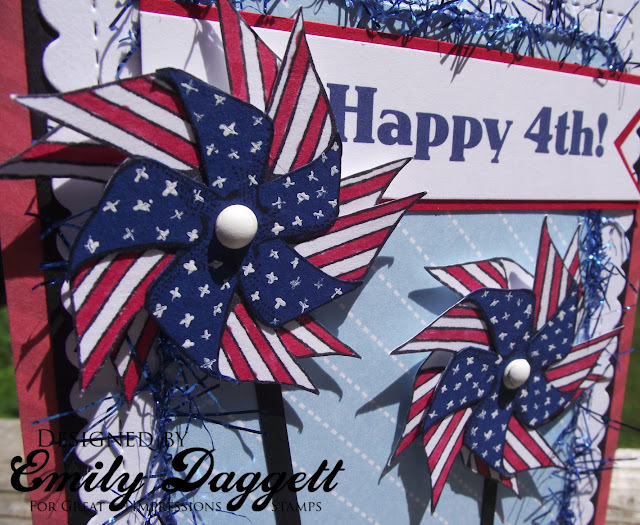 The 4th of July also makes me think of sparklers so I added the blue trim for a bit of pizazz. Emily, this is so creative! 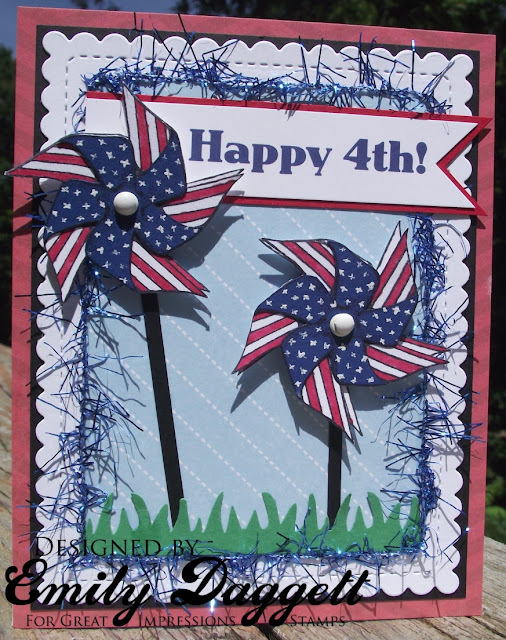 Loving the pinwheels and that blue fiber is perfect! Great job!